Google Glass and other wearable technology is a big deal right now for device manufacturers, there are wars of words going on between smartwatch manufacturers and a few head mounted gear offerings vying for our attention. Truth told, Google looks to be in position to accrue a win no matter which devices find success - With a few exceptions, such as Samsung's new Gear line of smartwatches running the Tizen operating system, most others are running either custom versions of Android or Google's own Android Wear Operating System. In a big move forward for Google with their head mounted Google Glass, they have opened up their beta Explorer Edition to anyone in the U.S. Considering the previous hoops one had to jump through to score an invite to purchase, this speaks to a confidence in the product, and hopefully a precursor to a true consumer unit in the coming months. Allow me to shamelessly steer you toward my article on this announcement over on Android Authority. 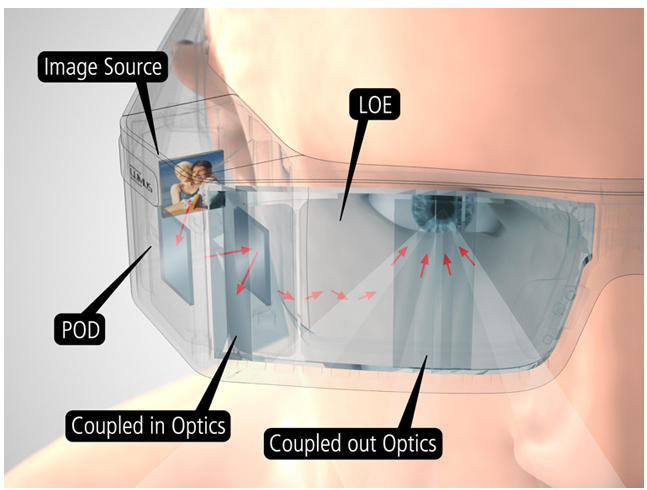 Alright, anyone in the U.S. can purchase Google Glass, but it is still $1500 - is that too much money? There are reports that suggest that the parts alone to build a single set of Glass is only about $80. That is just the parts, mind you, R&D isn't cheap, nor is the premium usually associated with the exclusivity of innovative technology. But this would not be the first device of Google's to be rumored under $100. As before, I've covered the topic in some detail over on Android Authority, check it out. If you think Google Glass is on the right track, but are looking for something that can do just a little bit more, I highly recommend looking into Lumus. As a supplier of heads-up display tech for F-16 fighter pilots, it is hard to not find their display offering just a little bit more advanced than Google's Glass tech. Of course, Glass is available now, Lumus may never make it to stores, but that should not stop us from checking it out and dreaming. What do you think - is a heads-up display or other head mounted computing system the way of the future, or is this just a specialized device and passing fad?